Justice Nels S.D. Peterson was appointed by Governor Nathan Deal to the Supreme Court of Georgia effective January 1, 2017. 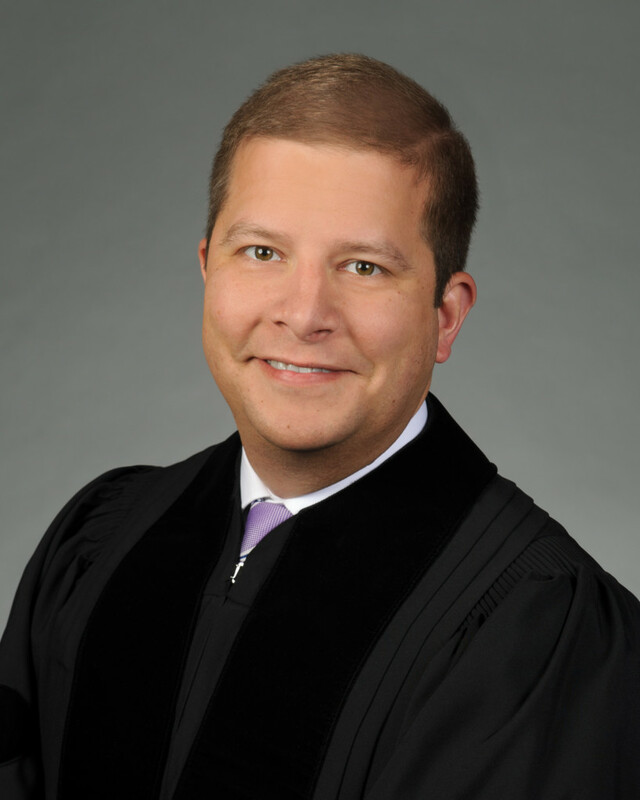 He previously served as a judge of the Georgia Court of Appeals, to which he was appointed by Governor Deal effective January 1, 2016. Justice Peterson graduated from Kennesaw State University with a B.S. in political science and a minor in economics. While at KSU, he served as President of Student Government and Chair of the Student Advisory Counsel to the Board of Regents, and was named KSU Student of the Year and Outstanding Senior in Political Science. Justice Peterson received his J. D. from Harvard Law School. At Harvard, he was Executive Editor of the Harvard Journal of Law and Public Policy, Executive Vice-President of the Federalist Society, and was a finalist in the Ames Moot Court Competition. Upon graduation from law school, Justice Peterson served as a law clerk to Judge William H. Pryor Jr. of the United States Court of Appeals for the Eleventh Circuit. Justice Peterson then practiced at King & Spalding LLP in Atlanta, where he focused on securities litigation, corporate governance litigation, merger-related litigation, and appellate litigation. Justice Peterson then moved to the Governor’s Office, where he served as Executive Counsel and Deputy Executive Counsel to Governor Sonny Perdue. In addition to his role as the Governor’s chief legal advisor, Justice Peterson also served as a senior advisor on a broad array of policy issues, including water, natural resources, education, the judiciary, and criminal justice. At the expiration of Governor Perdue’s term, Justice Peterson moved to the Attorney General’s Office as Counsel for Legal Policy, where he oversaw major policy issues such as health care reform and water rights litigation, as well as the rewrite of the state’s Open Records and Open Meetings Acts. In 2012, the Attorney General appointed Justice Peterson as Georgia’s first Solicitor General. In that position, he oversaw all of the state’s appellate litigation and played a lead role in all policy-related litigation, and served as a senior advisor to the Attorney General. Justice Peterson was then appointed Vice Chancellor for Legal Affairs and Secretary to the Board of Regents of the University System of Georgia, a position he held until his appointment to the Court of Appeals. In addition to his government experience, Justice Peterson has also served on a variety of state boards and commissions. In 2015, Governor Nathan Deal appointed him to the Governor’s Education Reform Commission, where Justice Peterson chaired one of five subcommittees. Justice Peterson has also been a gubernatorial appointment to the State Records Committee and the Superior Court Clerks’ Retirement Fund of Georgia, and has served on a number of State Bar committees. Justice Peterson has received a variety of honors and awards, including being named “40 Under 40” by the Atlanta Business Chronicle, one of 13 under-40 Atlanta lawyers “On The Rise” by the Fulton County Daily Report, 20 Under 40 by Cobb Life Magazine, and a “Most Influential Georgian” by James Magazine. He currently serves on the board of the Atlanta chapter of the Federalist Society, is an active member of Johnson Ferry Baptist Church, and lives in Cobb County with his wife Jennifer and two children.